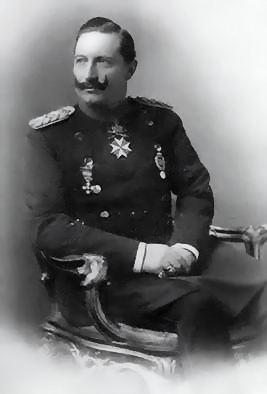 Click here to watch a documentary about Friedrich Wilhelm Viktor Albrecht von Preußen (aka Kaiser Wilhelm II) and his grandmother, Victoria. I highly recommend that you watch this documentary because it may be removed by DailyMotion and/or the individual who uploaded the video in the coming days. On July 18, 2013, His Imperial and Royal Highness Prince Georg Friedrich of Prussia visited the Kaiser Wilhelm I monument just outside of Porta Westfalica, Germany. The prince accompanied by the German Parliamentary State Secretary at the Federal Ministry of Finance, Mr. Steffen Kampeter, Dr. Wolfgang Kirsch and some other dude were at the monument to voice their support for the much-needed restoration of the area surrounding Kaiser Wilhelm I monument. 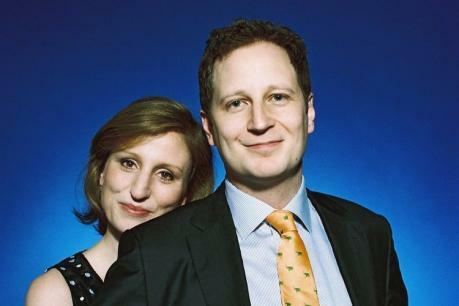 News Regarding TI&RHs Prince Georg Friedrich and Princess Sophie of Prussia. 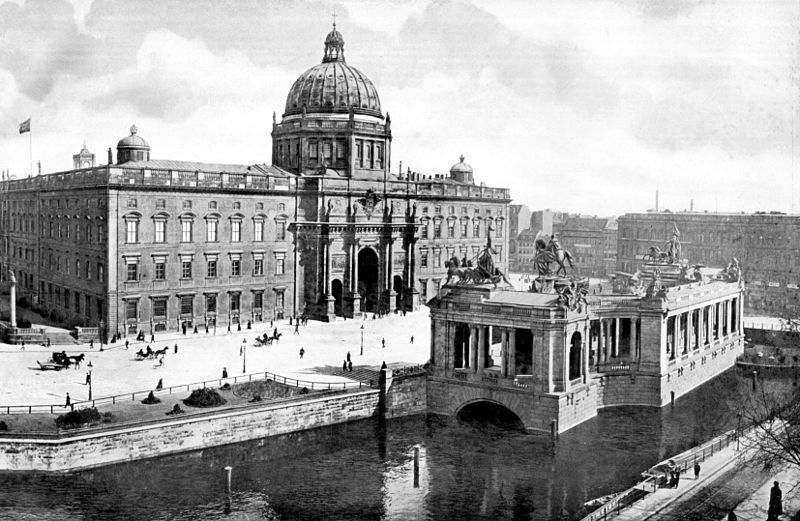 On the afternoon of June 12, 2013, Their Imperial and Royal Highnesses Prince Georg Friedrich and Princess Sophie of Prussia attended the ceremony of the laying of the foundation for the rebuilding of the Stadtschloss (aka the Berliner Schloss). Click here for more information about Wednesday’s event. 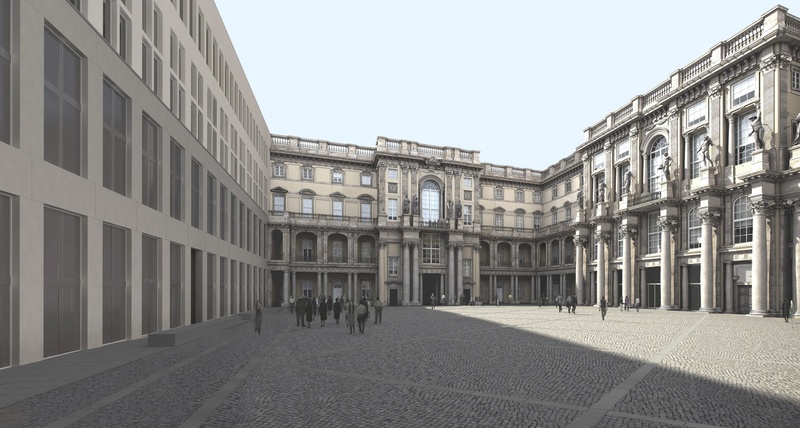 Earlier this month Their Imperial and Royal Highnesses had a chance to view plans as well as model of the new Stadtschloss with Stiftung im Kronprinzenpalais board member, Mr. Manfred Rettig. 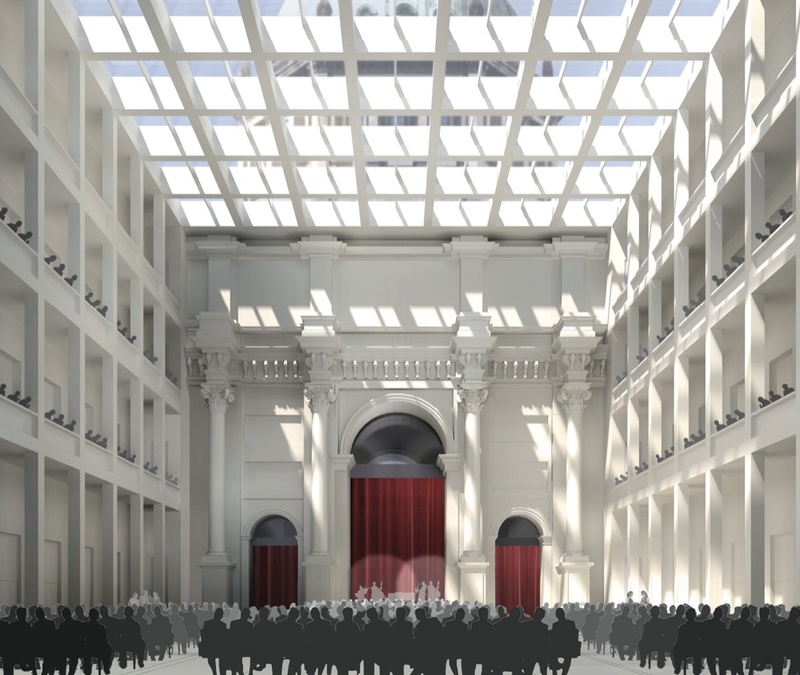 Images of what the new Stadtschloss will look like inside an out. HI&RH Prince Georg Friedrich von Preußen Meets With the Russian Orthodox Metropolitan of Volokolamsk, Hilarion Alfeyev. Recently, His Imperial and Royal Highness Prince Georg Friedrich von Preußen met with Metropolitan Hilarion Alfeyev, Bishop of the Russian Orthodox Church, in Potsdam. After a nice lunch Metropolitan Hilarion visited Sanssouci Palace and the tomb of the late King Frederick the Great according to the official website for Prince Georg Friedrich. For more information, in German, as well as to view a photo please click here. 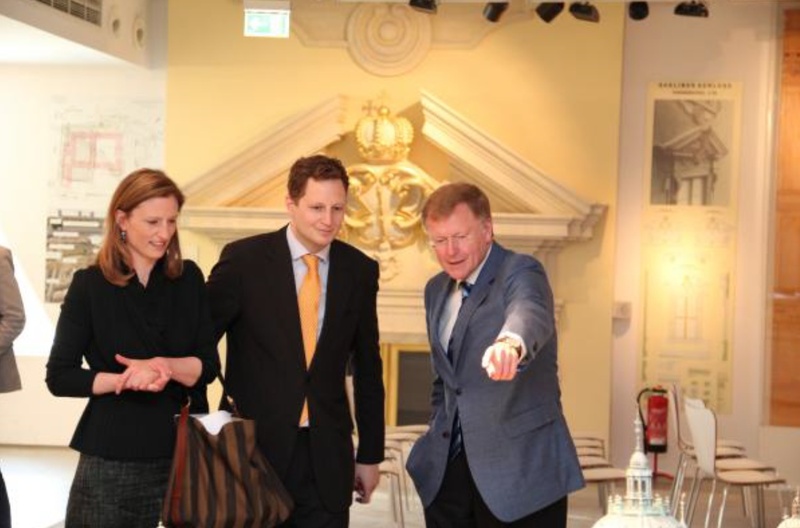 An Interview With His Highness Prince Andreas of Saxe-Coburg and Gotha. Recently, His Highness Prince Andreas of Saxe-Coburg and Gotha gave an interview with the German newspaper, Neue Press Coburg, on the occasion of his 70th birthday. 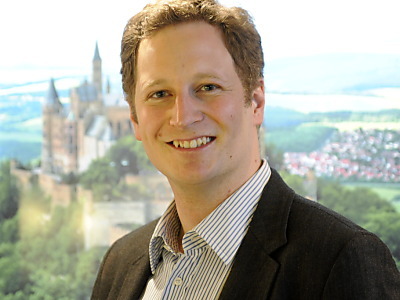 If you are unfamiliar with Prince Andreas, well, he’s the father of His Highness Hereditary Prince Hubertus of Saxe-Coburg and Gotha and the father-in-law of Her Highness Hereditary Princess Kelly. ” ‘The older you get, the more people are interested in their roots,’ says Prince Andreas of Saxe-Coburg and Gotha. 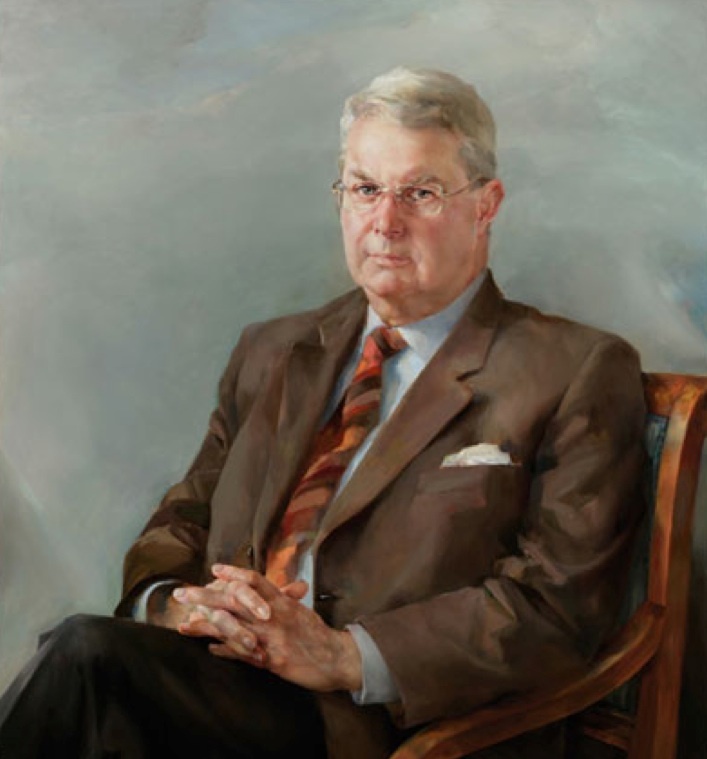 In addition to the examination of his own family history, it is therefore also the care of the many family connections to many major European royal houses that are of particular concern. Only with the House of Windsor will it not work out so well. The British royal family, who were known until the First World War as the House of Saxe-Coburg and Gotha, shows little interest in having contact with their relatives, the Saxe-Coburg and Gotha family. This is a great regret by Prince Andreas the great-great-grandson of Queen Victoria and a man who holds both German and a British passports. Prince Andreas Michael Friedrich Hans Armin Siegfried Hubertus of Saxe-Coburg and Gotha was born on 21 March 1943 in Lower Lusatia (Brandenburg), the estate of the grandparents. 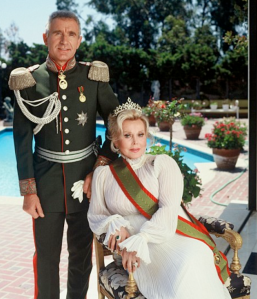 He is the firstborn son of Prince Friedrich Josias (1918 – 1998) and his first wife, Princess Viktoria Luise, née Countess zu Solms-Baruth (1921-2003). The grandfather of Prince Andreas was Charles Edward, the last reigning Duke of Saxe-Coburg and Gotha. After his parents divorced in 1949 Prince Andreas moved with his mother and her second husband, an American officer from the United States, to New Orléans, Louisiana. Here is where he spent his childhood. Since he was 16 years old the prince would regularly travel to Germany to prepare for his future role. In 1965 he finally returned to his old home permanently. From 1966 to 1968 he did his military service in the Armored Reconnaissance Battalion 6 in Schleswig-Holstein Eutin, then he trained as a timber merchant in Hamburg. In 1971 he married Karin Dabelstein and had three children: Stephanie (1972), Hubertus (1975) and Alexander (1977). Since his father’s death in 1998, Prince Andreas has been the successor and the head of the House of Saxe-Coburg and Gotha. The family has two Schloss (castles) Callenberg and Greinburg. Last year, Prince Andreas retired from the family business and his eldest son, Hereditary Prince Hubertus, who had previously worked as an investment banker in New York, took over. 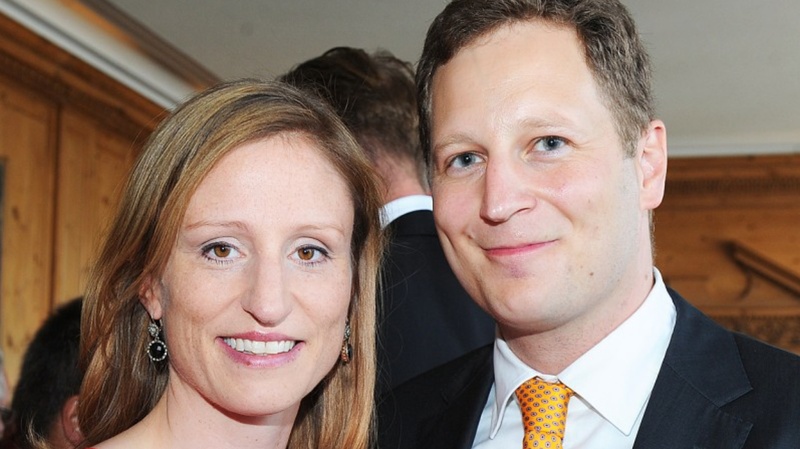 Their Imperial and Royal Highnesses Prince Georg Friedrich and Princess Sophie of Prussia Welcome Twin Boys! Supermacht Preußen. A documentary in German. On November 12, 2012, the infamous Frederic, Faux Prince von Anhalt, crashed the première of the film, Twilight: Breaking Dawn Part Two, held at the Nokia Theatre in Los Angeles, California. Somehow the faux prince managed to sneak onto the red carpet and photobomb Nikki Reed, Robert Pattinson and others as they posed for photographers. Yeah, I have no idea who he is. Any who, the gala event benefited the Board of Governors Heart Stem Cell Center at the Cedars-Sinai Heart Institute. And, finally, if you have six minutes to burn and want to watch a funny video with the faux prince and Alexander, Prince von Anhalt mindlessly wandering and driving in L.A. watch the video below. By the way, if you are wondering, “Who in the heck in Alexander, Prince von Anhalt?” well, he’s a faux prince like Frederic. And, a total douchebag.